Premier Heating and Air is offering some great specials for you to take adavantage of. 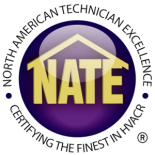 We are a leader in heating and cooling in Denver Colorado. Trust us to get your heating or air conditioning services done right the first time. Call us at 303-993-9060 for a free estimate and visit us online for more great information at www.premieraircolorado.com .